No financial impact on you! With Rent on Time from Bluewood Lettings we can remove both of these worries and provide you with complete peace of mind. 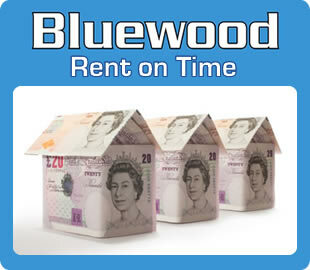 Bluewood proudly presents to you the innovative Rent on Time service which GUARANTEES to pay your rent to you on the day it is due, regardless of whether the tenant has paid or not! AVAILABLE NOW via Bluewood Lettings and there is no catch! Speak to us now for more information on how to include the innovative Rent on Time service on your property portfolio. We will arrange for a valuation on your property and explain our tailored Management packages in more detail. Rent on Time does exactly that!